Welcome to this lovely, updated home in Pinehurst Estates! So much space to appreciate here: comfortable living room with fireplace, formal dining room and eat in kitchen with island; first floor laundry/mud room. Upstairs: spacious bedrooms, new carpet, fresh interior paint. Entertain family and friends on the new deck, overlooking the inground pool! 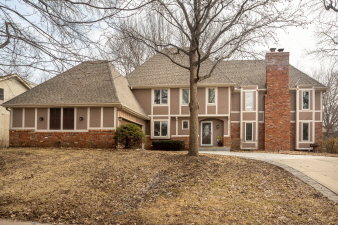 Convenient location near elementary school, two parks, shopping and I435. See it soon!